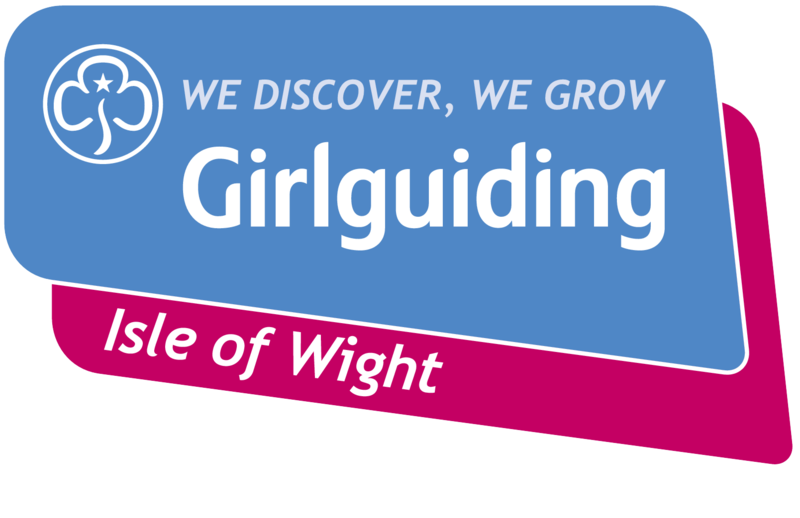 Parkhurst Rainbows, the youngest members of Girlguiding have been undertaking an ‘Under the Sea’ Challenge which has been devised by members of 1st Nannerch Rainbows who by selling this challenge to other units are raising money for their unit funds. All the girls aged 5-7 really enjoyed working for this challenge part of which involved the study of different kinds of fish and shell fish. 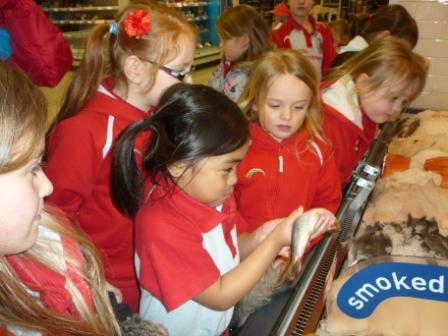 To enable the Rainbows to understand and see the various varieties of the species a visit was made to Sainsbury’s Newport where the first stop was the wet-fish counter. Showing the girls all the produce displayed on the counter were Michelle Wade (Counter’s Manager) and Mandy Byers who explained the differences between the fish varieties and informed the Rainbows why some species have shells. Most of the girls said they enjoyed eating fish and one said she liked the fish her father caught with his fishing rod. Holding a herring proved an unexpected experience for the Rainbows- some comparing the feel to holding a snake which they had experienced on a previous Rainbow adventure. Leaving the wet-fish counter Tanya Blake (Sainsbury’s , Newport , PRL ) showed the girls the other departments of the store which stock fish, chilled food and frozen food. Having looked at all this food and discovered just how fish swim under the sea it was time for a meal in Sainsbury’s Restaurant- with some enjoying a fish supper. 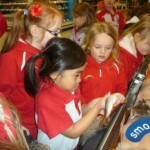 As well as this visit to Sainsbury’s the girls have undertaken other parts of the fun challenge which include making a rainbow fish for an undersea aquarium, making plasticine fish, singing fishy songs and a visit to Pets at Home to learn about their fish. They have been doing the challenges since January and have completed different activities each week. As well as the unit activities some girls completed some challenges at home by watching films relating to the sea and going to the beach to collect shells to bring into Rainbows to show the other members.